Intan Paramaditha is an Indonesian fiction writer and a lecturer at the Department of Media, Music, Communication & Cultural Studies, Macquarie University, Sydney. She received her Ph.D in Cinema Studies from New York University (2014) and has taught at the University of Indonesia and Sarah Lawrence College. 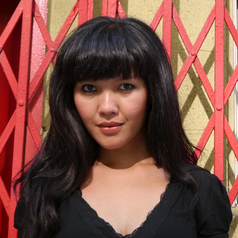 Her research focuses on media, activism, and sexual politics in post-authoritarian Indonesia. Her articles appear in edited volumes and journals such as Jump Cut, Film Quarterly, Inter-Asia Cultural Studies, Asian Cinema, and Visual Anthropology (forthcoming). Some of her short stories have been translated into English and German. Her upcoming novel is Gentayangan: Pilih Sendiri Petualangan Sepatu Merahmu (The Wandering: Choose Your Own Red Shoes Adventure, Gramedia Pustaka Utama, October 2017).